ActiveCampaign vs Infusionsoft: 2018 Discount! 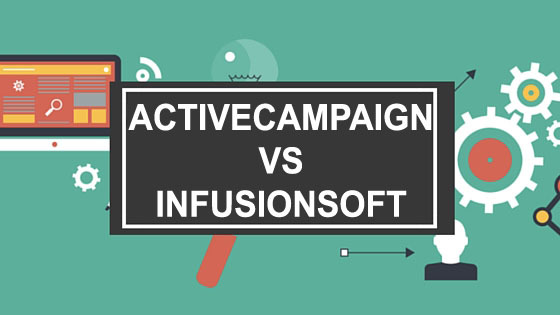 ActiveCampaign vs Infusionsoft Comparison: Which One Is Right For You? ActiveCampaign is a little more lightweight and user-friendly, with a design and toolset that makes it perfect for small businesses and agencies. Infusionsoft feels more like a heavy duty email platform, with a range of features that make it a better choice for mid-sized businesses and brands. Over the years, I’ve tried a huge variety of email marketing applications, from free software to a variety of high-end tools aimed at growing businesses. ActiveCampaign (Visit Website) and Infusionsoft (Visit Website / Read Our Review) are two of the most popular marketing automation tools on the market, especially for small and mid-sized businesses. Both look great, work well and offer a huge range of tools to help you keep in contact with your email subscribers and drive traffic to your landing pages and products. Both platforms also have sales-focused features like built-in CRM tools. As a general rule, the best option depends on the size of your business. Small businesses will like how easy it is to get started with ActiveCampaign. Mid-sized businesses and startups that are growing really fast will like the sheer power Infusionsoft offers. Below, I’ve compared ActiveCampaign and Infusionsoft on features, ranging from opt-in forms to marketing automation options. I’ve also looked at factors like pricing and support to help you get a complete idea of which application offers the best combination of value and quality. You can find the winner listed under each category heading, making it easy to see which tool is the best in each category. Contacts Plans start from 500 contacts, with pricing available on request for users with lists of 100,000+ contacts. Up to 2,500 contacts on the most affordable plan. Plans available for up to 20,000 contacts. Email Volume Unlimited emails on all plans. Up to 12,500 emails on the most affordable plan. Plans available for up to 100,000 emails per month. Users Up to three users on Lite plan, 25 users on Small Business and unlimited users on Enterprise plan. Three users on the most affordable plan. Support for 10 users on the $599/mo Team plan. Email Courses Unlimited autoresponder series on all plans. Unlimited marketing automation courses on all plans. Responsive Email Templates A huge selection of responsive email templates are included, with a free design customization service for Plus and Enterprise level customers. Email templates are responsive and customizable. Drag and drop email builder provided. Email Split Testing A/B email split testing is possible. No built-in split testing feature, however split testing is possible using A/B audience tags. Lead Scoring Dynamic, customized lead scoring. Lead scoring based on tags and user behavior. SMS Marketing Automation Automated SMS and subscription via SMS are available. SMS marketing automation is available through integrations such as Fix Your Funnel SMS. Direct Mail Automation ActiveCampaign does not support direct mail automation, although integration with direct mail tools is possible using Zapier. Direct mail automation is available through integrations such as DirectMailManager and Click2Mail. UI and Usability Designed for non-technical users, with a clean UI and simple email/automation interface. Designed for experienced marketers, with a steeper learning curve than some other email marketing automation tools. Automation Workflow Builder Automation workflow builder uses simple yes/no conditions and rules that users with no programmming experience can understand. Automation workflows can be configured based on user behavior, such as purchases, webpage visits and other events. Email Course Builder Drag-and-drop email builder with data-driven segmentation and useful campaign insights. Email courses are managed in the Infusionsoft Campaign Builder, which has a simple drag-and-drop UI. Form Builder Form builder with inline, floating box, modal pop-up and floating bar display modes. Opt-in form builder lets you create responsive forms with hidden fields, captchas and more. Landing Page Builder No landing page builder, although integrations are available for software like Instapage and LeadPages. 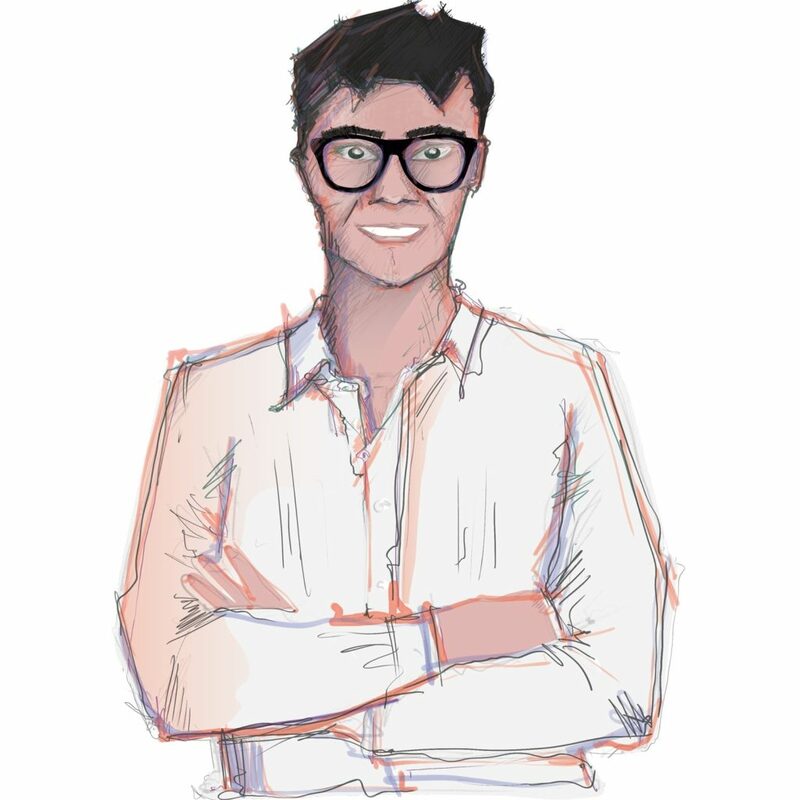 User-friendly visual landing page editor with support for custom CSS. Landing Page Templates No landing page templates, although templates are available for third-party software. Several landing page templates included, with third-party landing page tools available. WordPress Plugin ActiveCampaign WordPress plugin lets you add contact forms to pages, posts and sidebars and add tracking to your WordPress website. No official WordPress plugin, however third-party WordPress plugins are available for some integrations. Integrations More than 150 apps and integrations, ranging from scheduling tools to landing page software. Hundreds of integrations available from the Infusionsoft Marketplace. Zapier Integration Supported. Zapier integration available for $20 per month. Pricing Monthly fee, starting from $9 per month for up to 500 contacts. Pricing available on request for high-volume email marketers. Free 14 day trial available. Monthly fee, starting from $199 per month for up to 2,500 contacts. Full-featured edition available from $379 per month. Minimum Contract Term No minimum contract. Plans start from one month. Annual contract, billed monthly. Cancellation is possible up to 10 days before the next billing period. Joining/Training Fee No joining fee. Compulsory Kickstart training and initiation package, priced from $699 to $1,699. Refund/Guarantee No full or partial refunds. All subscription and Kickstart fees are nonrefundable. Support Personalized support via phone, email and chat, as well as video walkthroughs, user community and one-on-one training. Personalized email, phone and live chat support. Live chat available 24/7. Phone support available from Monday to Friday, 6AM to 5PM Arizona time. ActiveCampaign vs. Infusionsoft: Which Software Has The Best Features? ActiveCampaign and Infusionsoft are both packed with features. In fact, from a sheer features perspective, both tools beat most of their small business competitors like Drip, MailChimp and GetResponse. However, there are a few differences between the two platforms that could play a role in your decision of one option or the other. I’ve listed the main differences below, starting with opt-in forms and landing pages. Winner: Infusionsoft, which includes seven opt-in form styles compared to ActiveCampaign’s four. ActiveCampaign includes four different opt-in form styles, letting you add a variety of different forms to your website to generate email opt-ins from your traffic. It also has a form builder that lets you modify your forms’ colors, fonts, buttons and other options. There’s also an HTML and CSS form customization option, which serious designers will like. Inline forms, which can be added to blog posts, articles and other website content just like an image or embedded video. Floating bar forms, which stick to the top edge of the browser window and give your readers the opportunity to opt in as they read your content, watch videos or navigate around your website. Modal pop-up forms, which can be triggered after a certain amount of time to help you generate more email subscribers from search and social media traffic. Floating box forms, which stay in the lower right corner of the window and let users opt in while reading your blog posts and articles. If you’re a blogger or content marketer, you’ll probably be satisfied with ActiveCampaign’s form options. Since all of the forms are responsive, they look great and function just as well on tablets and smartphones as they do on a computer. Like most email marketing tools, ActiveCampaign has its own WordPress plugin that makes adding forms to your website a breeze. Despite the great form builder and opt-in forms, ActiveCampaign does have two downsides in this category. First, the forms are only available on the full ActiveCampaign plan, which starts from $49 per month. The cheaper $17 per month Lite plan only includes inline forms. Second, there’s no landing page builder included with ActiveCampaign. This means you’ll need to purchase Instapage, Leadpages or another landing page application to create your own PPC landing pages. All in all, ActiveCampaign has good opt-in forms and a useful form builder but loses points here because of the lack of landing pages. Infusionsoft is arguably the most comprehensive, well-equipped platform out there for opt-in forms and landing pages. It includes seven different customizable form types, a big range of landing page templates and a powerful landing page editor. Pop up opt-in forms, which display above your on-page content in a modal pop-up that users can easily close. Fly in opt-in forms, which slide in from the bottom corner of the screen at a specific time or point on the page. Widget opt-in forms, which fit inside the sidebar, footer and other widget areas for passive email list building. Locked content opt-in forms, which let you offer eBooks and other lead magnets to build your email list. Below post opt-in forms, which sit below your posts and articles, letting engaged and interested readers opt in for extra content. Inline opt-in forms, which sit in the middle of blog posts and articles to let users opt in while they’re actively reading your content. Opt-in bar forms, which stick to the top edge of the browser window and give users an opportunity to opt in at any time. All seven form options look great and perform well, with customization for factors like colors, text size, fonts, buttons and more. Infusionsoft also includes a reasonably diverse selection of opt-in form templates. Adding these forms to your website is simple using the official Infusionsoft WordPress plugin. Infusionsoft also features a powerful landing page builder that lets you modify every aspect of your landing pages, from headlines and images to color schemes and buttons. There are also several landing page packs featuring modern-looking, responsive design templates. One useful feature of Infusionsoft is that it lets you prepopulate certain landing page forms with data like a user’s name or email address, which can help boost conversions. All in all, Infusionsoft has a much wider range of opt-in form styles and a versatile landing page builder, making it the clear winner in this category. Winner: Infusionsoft, which offers more features and a great range of ready-made automation campaign templates. ActiveCampaign includes both conventional email marketing tools and a full automation toolkit, making it a good choice as an all-in-one email marketing platform. First, let’s look at the conventional email marketing tools. ActiveCampaign includes broadcasts and autoresponders, making it ideal for straightforward, traditional email marketing. It also has all of the personalization options you’d expect from a modern email marketing platform. It also comes with a good range of free HTML email templates that can give your emails a more polished, corporate look. There’s also email analytics, with live data on open rate, clickthrough rate and more. You can even A/B test different subject lines and email content. 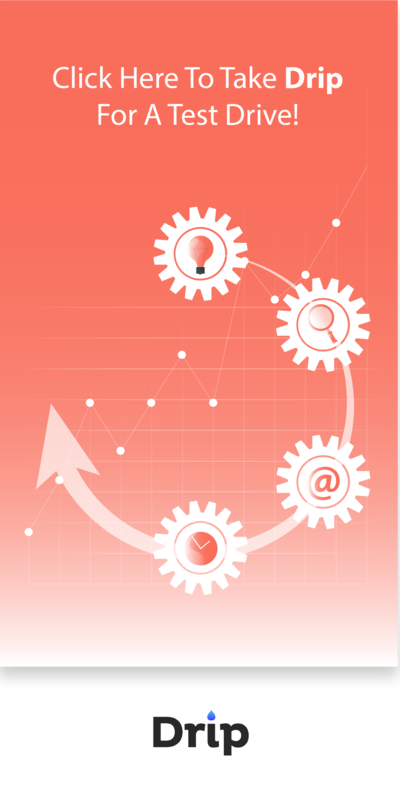 ActiveCampaign also includes a powerful marketing automation toolkit. The UI is easy to use and makes setting up most automation simple. If you need to send cart recovery emails, say “Hi” to new users or segment people based on their behavior, you’ll like ActiveCampaign. One of the biggest benefits of ActiveCampaign is that it’s easy to use. The interface looks and feels intuitive, making it easy to learn in a day or less even if you’re completely new to email marketing automation. There’s a reason Infusionsoft is the mid-sized business and enterprise marketing automation platform of choice, and this is easy to see once you start using its. Infusionsoft is packed with features and offers everything a mid-sized business, agency or enterprise could need. 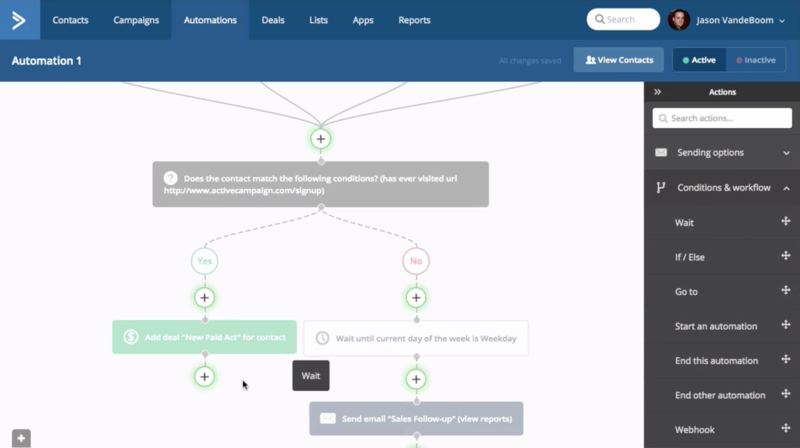 Marketing automation in Infusionsoft is handled through the Campaign Builder. Built around a drag-and-drop interface, the Campaign Builder lets you automate personalized emails, trigger emails, and calls based on user behavior and easily segment customers into different lists. Infusionsoft also includes a diverse range of ready-made campaign templates, all of which are available from the Infusionsoft Marketplace. The campaign templates are easy to modify to your needs and make it the process of setting up an automation campaign far more manageable. The only real downside of Infusionsoft’s automation toolkit is that it can be feel quite intimidating at first. However, you’ll quickly master is as part of the Kickstart training package (which I’ll talk about more a little later in this comparison). Winner: Both applications get a good score in this category thanks to their useful sales tools. ActiveCampaign and Infusionsoft both include sales tools, ranging from a CRM to lead scoring, deals and more. ActiveCampaign includes a built-in CRM that makes communicating between your marketing and sales departments quick and easy. The CRM automatically logs emails as they’re sent to give your sales staff a complete record of what content prospects have received. ActiveCampaign also features dynamic, customized lead scoring, which can help your sales team save time and focus on following up with the most engaged and interested prospects. Overall, the CRM and sales tools in ActiveCampaign are nice additional features that your marketing and sales teams will appreciate. Infusionsoft also includes a powerful CRM that automatically records all of your contact with prospects and customers. There’s also lead scoring, letting you automatically rate prospects based on their past purchases and level of interactivity with your email content. You’ll find all of the standard CRM tools in Infusionsoft, ranging from quotes and orders to a variety of pipeline management tools. Overall, Infusionsoft and ActiveCampaign feel roughly equal from a sales perspective, with both platforms offering the usual range of sales tools. ActiveCampaign is a great piece of software with far more advantages than disadvantages. In fact, the only real disadvantages are minor league things, such as the fact that you’ll need to use a third party landing page tool if you plan to run a PPC campaign. ActiveCampaign includes a full set of conventional email marketing features, such as autoresponders, broadcasts, personalization and more. Compared to other mid-sized business and enterprise email software, ActiveCampaign has a clean, simple user interface that’s relatively easy to use. ActiveCampaign includes a good variety of email templates, as well as a custom email builder. You can also choose to send plain text emails. The opt-in form styles included in ActiveCampaign look great and perform well on all devices, from tablets and smartphones to desktops. A/B testing features make it easy to split test your subject lines, email copy and other variables to optimize your campaign for a higher conversion rate and more revenue. 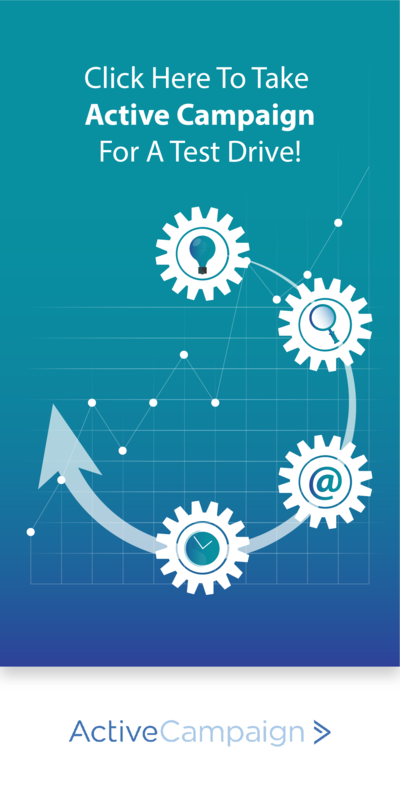 From a marketing automation perspective, ActiveCampaign offers all of the features most small businesses will want in a straightforward, user-friendly interface that most people can master in a day or less. You can use ActiveCampaign to send SMS notifications to your customers, making it great for deliveries and services. Finally, ActiveCampaign includes a CRM and suite of sales tools, making it a good option for small businesses with their own sales departments. ActiveCampaign doesn’t include any landing pages and has no landing page builder, meaning you’ll need to use Instapage, Leadpages or another third party tool to create and manage your PPC landing pages. The ActiveCampaign Lite plan is affordable but lacks many of the features of the full version, meaning you’ll lose a lot in exchange for a lower monthly fee. Overall, ActiveCampaign is a great marketing automation platform that’s clearly designed with small and mid-sized B2B businesses in mind. While it doesn’t beat Infusionsoft on power, it has a great range of tools and a user-friendly interface that make it relatively easy to use. A real powerhouse, Infusionsoft is full of versatile email marketing and marketing automation features. However, it’s a little harder to use than ActiveCampaign, with a mandatory training program that will help you get up to speed as a new user. Infusionsoft is an extremely comprehensive application, with a variety of features that offer everything from conventional email marketing to marketing automation, CRM and sales tools and more. Unlike ActiveCampaign, Infusionsoft includes a powerful landing page builder that lets you design and host your own PPC landing pages. There are also several landing page template packs for you to choose from. The marketing automation features in Infusionsoft are versatile and powerful, letting you send everything from abandoned cart recovery emails to upsell emails, SMS notifications and much more. Infusionsoft includes a large and diverse range of email templates, as well as an email template builder that lets you customize everything from fonts to color schemes. There’s a full suite of sales tools in Infusionsoft, including a CRM with features such as lead scoring, quotes, orders and a full record of emails and SMS messages received by prospects and customers. Infusionsoft also includes useful marketing tools like an affiliate management system, letting you use it as a platform for your company’s growth. Compared to most marketing automation software, Infusionsoft is quite difficult to use at first. However, most people will quickly get the hang of its interface and have no problem using it with confidence after a day or two. Infusionsoft is only available with a mandatory Kickstart training program, which starts at $999 and can cost up to $2,999 for the full Kickstart Pro training course. Infusionsoft has higher monthly fees than ActiveCampaign, with plans starting from $99 instead of ActiveCampaign’s cheapest $17 per month option. If you’re looking for a powerful, versatile marketing automation platform and don’t mind paying a little bit extra or spending a day completing a training program before you begin, Infusionsoft is a very tough product to beat. ActiveCampaign is priced from $17 per month, although the Lite plan that this buys doesn’t have a lot of features. For $17 a month, you’ll be able to send unlimited emails to up to 1,000 contacts and use all of the features of ActiveCampaign except the CRM and sales automation tools. To access the full feature set of ActiveCampaign, you’ll need to buy the $49 per month Plus plan or higher. ActiveCampaign allows you to add more contacts to your plan at a fixed cost without having to upgrade, making it a good option if your list is growing quickly. ActiveCampaign also offers an Enterprise plan with custom mail server domains and an account rep, although you’ll need to contact them for pricing. Infusionsoft, on the other hand, starts at $99 per month, which includes access to the CRM and marketing automation tools but blocks the sales automation and e-commerce features. It also only allows up to 500 contacts and caps your total emails at 2,500 per month. For full access to Infusionsoft, you’ll need to purchase the $299 per month Complete plan, which allows for up to 10,000 contacts and 50,000 monthly emails. All plans are billed monthly but use an annual contract, meaning you’ll need to commit to Infusionsoft for at least 12 months. You’ll also need to complete a Kickstart training package to start using Infusionsoft. The training packages start from $999 and are required to begin using the software, meaning Infusionsoft is far more expensive to start using than ActiveCampaign. ActiveCampaign has an online knowledgebase with a huge range of articles and videos, as well as live support for paying customers. You can also get help with some questions from the Official ActiveCampaign and Automation Nation Facebook groups. Infusionsoft offers online support in the form of a detailed online help center, as well as 24/7 chat support and call-in support during regular business hours. There are also several Infusionsoft Facebook groups that are useful for getting answers to simple questions, such as Infusionsoft Certified Partners and Infusionsoft Masters. ActiveCampaign is designed for small and mid-sized businesses that specialize in B2B and need a marketing automation tool that’s easy to use. Infusionsoft is designed for B2B and B2C, with a focus on mid-sized and enterprise users that need a little extra power and don’t mind a more complicated interface. 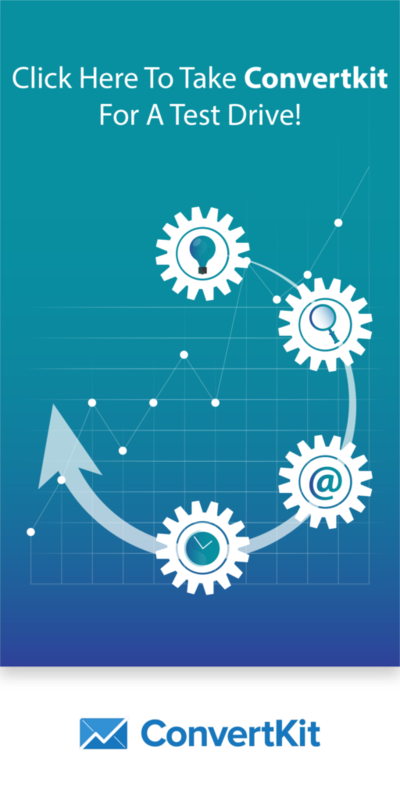 What Do You Want From a Marketing Automation Platform? From ActiveCampaign and Infusionsoft to products like ConvertKit, Drip, MailChimp and others, there are numerous marketing automation platforms on the market. 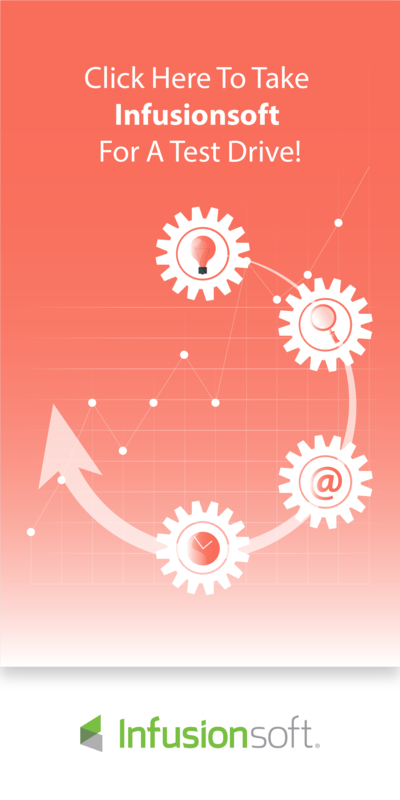 What do you want from your marketing automation software? Do you value user-friendliness or complexity? Power and versatility or value for money? Leave a comment with your top priorities in a marketing automation platform and I’ll keep them in mind for future product comparisons.